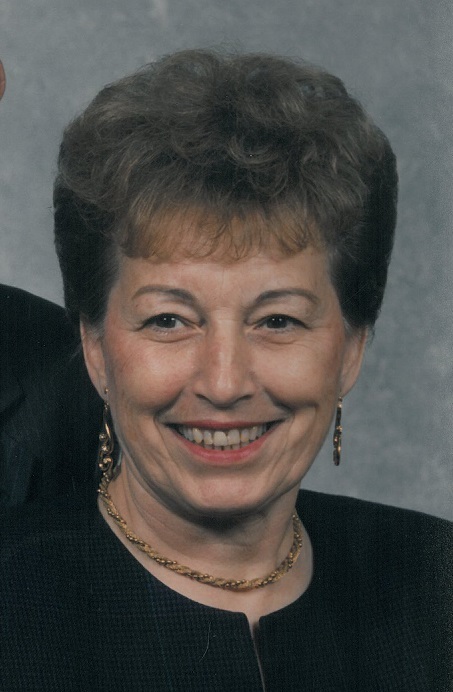 Peggy Ann Griffith, 84, of Bentonville, Arkansas passed away April 1, 2019. She was born May 19, 1934 to Roy and Ruth Welshenbaugh of Dover, Ohio. Peggy moved to Tucson, Arizona when she was eleven years old. She met her husband, Jack H. Griffith when she was fourteen and they married in 1952. Being a service bride, they traveled in the United States, Africa, Europe and England. When her husband retired from the Air Force, they moved to Bentonville, Arkansas where Peggy pursued a 17 ½ year career as a buyer with Wal-Mart Stores, Inc.
Peggy was a member of First Baptist Church of Bentonville. She taught fifth grade Sunday School and was active in their 4W Women’s Ministry. She also headed up their widows ministry. Peggy was preceded in death by her husband, Jack; her parents; her oldest granddaughter, Rachel Warnock and one brother, Jerry Welshenbaugh. Peggy is survived by her daughter, Diana Lynn Warnock (Chuck) of Kilgore, Texas; son, Mark Allen Griffith (Cindy) of Bentonville, Arkansas; five grandchildren, Stephen Warnock, Matthew Warnock, Austin Griffith, Taylor Griffith, Paige Griffith and five great-grandchildren, Rachel Warnock, Emma Warnock, Claire Warnock, Thatcher Warnock and one on the way; three sisters, Janet Gibbons, Bonnae Taylor, Debra Connell and one brother, David Welshenbaugh. Visitation will be from 5:00PM until 7:00PM,Thursday, April 4, 2019 at Stockdale-Moody Funeral Services in Rogers. Funeral services will be held at 10:00AM, Friday April 5, 2019 at First Baptist Church in Bentonville with Pastor Phillip Smith officiating.